This past week CIMSEC featured a topic week offering ideas for the U.S. Navy’s Future Surface Combatant Program. In response to our call for articles authors shared insightful writings on potential new warships and how history should inform ship design. We thank the authors for their excellent contributions, listed below. Featured Image: PACIFIC OCEAN (May 11, 2017) The guided-missile destroyer USS Halsey (DDG 97) participates in a simulated strait transit during a group sail training exercise with the Theodore Roosevelt Carrier Strike Group (U.S. Navy Photo by Mass Communication Specialist 2nd Class Paul L. Archer/Released). The development of the Future Surface Combatant (FSC) family of warships has widespread implications. These ships will form the backbone of the Navy’s surface force, and add sorely needed numbers to the fleet in general. They may also signal a reorganization of the Navy from its current strike group system to a more amorphous model. Additionally, the FSC’s projected service life indicates that it will encounter and employ technologies that today are only in the developmental stages. Creating requirements for this ship is obviously important. However, proper assessment of the above factors in the FSC’s development is impossible without a broader conception of America strategy, the Navy’s role in that strategy, and the place of surface combatants within the Navy. 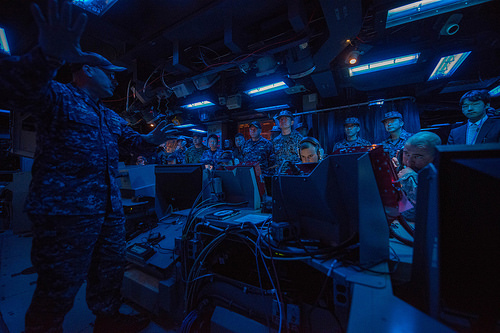 New technologies may change the way wars are fought at the tactical and operational level, but policymakers and naval officers must organize those developments under a broader umbrella to understand their true application and effects. History demonstrates the need to understand strategy, and a service’s role in that strategy, when modernizing a military force. In particular, a comparison of Britain’s largely successful naval modernization before the First World War can be compared to the less successful naval modernization and construction attempts in the U.S. from 1991 to the present. Comparing the underlying clarity of strategy in both modernization attempts offers major lessons to the modern policymaker that should be applied to the FSC’s development. These lessons should reveal the primacy of sea control in orienting warship and fleet design. The FSC trio of ships should be designed to embody the surface Navy’s distributed lethality concept of operational warfighting against advanced A2/AD threats. These ships will take on specialized roles: the large combatant as an arsenal ship with numerous VLS cells to provide fires; the small surface combatant as an ISR-laden scout to probe the A2/AD envelope, hunt submarines, and retarget missiles; and the unmanned ship as a highly stealthy deception platform employing electronic warfare systems to lure and jam adversary assets. Together, these ships will provide a lasting sea control capability against an ever more challenging threat environment. In particular, one can employ the idea of a “strategic concept” to connect national strategy with a service’s strategy and force structure. Samuel Huntington coined the term in a 1954 Proceedings essay entitled “National Policy and the Transoceanic Navy.” One can define a strategic concept as the way a specific service’s capabilities and missions fit into an overall national security strategy. Huntington’s essay tracks the U.S. Navy’s development, contrasting the pre-1880s coastal and frigate Navy with the post-Spanish American War Mahanian Navy. In the former case, America’s primary objectives were located on land, giving the Navy the role of denying foreign powers access to the American coastline, protecting American international trade, and harassing enemy commerce and light warships during conflict. The Navy was subordinate to the Army, as most threats came from land, not sea. The Spanish-American War changed the U.S.’ strategic position, and changed the Navy’s role to defending American interests in the Atlantic and Pacific against European and Asian powers. Consequently, the Navy became the U.S.’ strategically important service. These differing strategic concepts created different fleets. The pre-1880s strategic concept necessitated a coastal navy with a handful of long-range frigates for blue ocean missions, while the post-Spanish American War concept required a battlefleet that could gain command of the seas. Huntington’s argument specifically addresses the U.S. Navy’s strategic concept in the Cold War. A change in the international balance of power from multipolarity between states with land and naval power to bipolarity between a Eurasian land faction and an insular naval faction required a redefinition of the Navy’s strategic concept. The present international balance of power has shifted from its 1991 state, and continues to shift as America’s adversaries expand their militaries. China approaches qualitative parity and quantitative superiority in the Pacific, while Russia and Iran can use long-range missiles and, in Russia’s case, a large submarine fleet coupled with a small but modernizing surface force. Each can challenge American sea control in their respective regions. 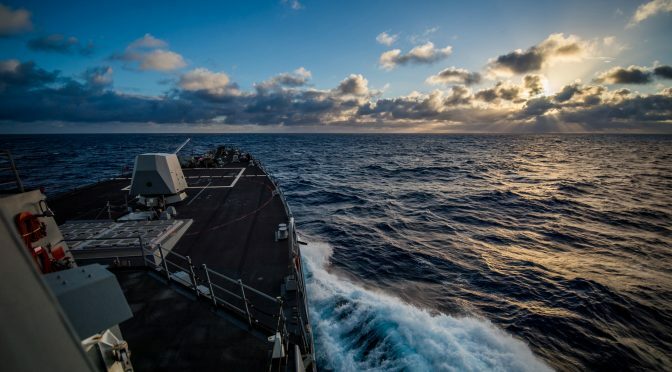 For the first time since the Second World War, the U.S. faces adversaries in two hemispheres that are capable of not only denying it sea control, but also establishing sea control themselves. In the face of such a dramatic shift in the balance of power, understanding American strategy and the Navy’s role in that strategy is a prerequisite for sound fleet design. This can best be shown by illustration of a situation in which a Navy had a clear strategic concept. The pre-First World War Royal Navy, dominated by Jacky Fisher and Winston Churchill, had a strong conception of Britain’s strategy and its own strategic concept. This enabled the success of “the scheme,” Fisher’s modernization program. Remarkably, this success occurred during a period when Britain’s government only loosely understood the implications of the policy choices, as Aaron Friedberg and Donald Kagan articulate. Establishing the Royal Navy’s strategic concept during the pre-war period requires a brief review of British grand strategy from 1905 onward. Germany was slowly recognized as the primary threat to British power, particularly after the Russo-Japanese War. Britain’s desire to retain a free hand led to a reliance on its naval power, rather than a land army, to deter Germany. In the event that deterrence failed, Britain would use naval power to degrade the German economy through blockade while it mobilized resources to support its continental coalition partners. This dictated a strategic concept for the Royal Navy that held sea control as its central objective. The concentration of a battle squadron in the North Sea would most effectively achieve this goal. Hunting down enemy raiding squadrons and protecting British and allied commerce was another a major component of the sea control objective. In addition, the Navy was expected to influence the land war through the aforementioned blockade of the Central Powers, impossible if Germany could operate freely at sea. Tangential to this were limited power projection attempts, including the Cuxhaven Raid and the much larger Gallipoli Campaign. Fisher’s “scheme” is a reflection of this strategic concept, as demonstrated by its main components, the dreadnought battleship and the battlecruiser. The dreadnought fulfilled the need to deny Germany naval parity. The role of the dreadnought is not remarkable – a capital ship is inherently designed to destroy other capital ships. However, by leveraging technology, namely long-range gunnery advances and new propulsion techniques, Fisher and the Royal Navy were able to make all non-dreadnought battleships obsolete, forcing Germany to devote even more resources to its Navy in the pre-war period, or, as eventually occurred, surrender naval superiority to Britain. 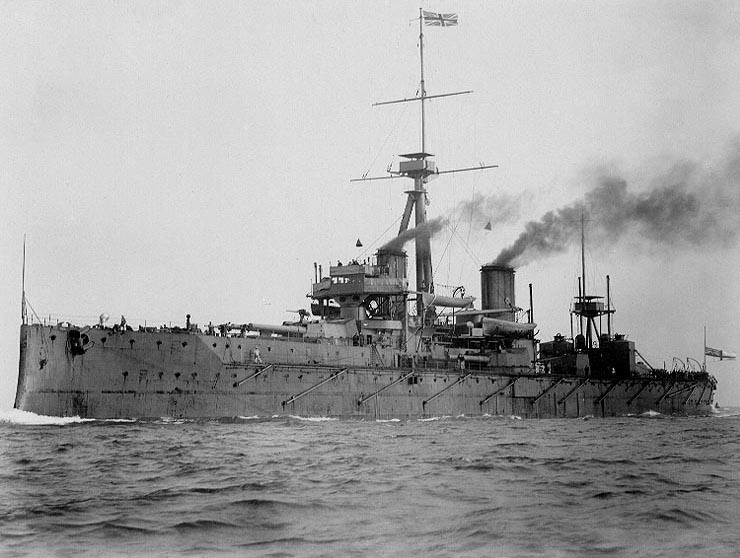 The dreadnought’s development has strategic aspects, but the invention of the battlecruiser indicates the clear link between strategy and effective fleet design. Conceived by Fisher as “cruiser-killers,” the ships were armed with dreadnought-style guns, but eschewed the armor of a battleship for additional speed. As conceived, the battlecruiser could outrun anything powerful enough to destroy it, and catch anything lightly armed enough to fall prey to its heavy guns. When used in their intended role, such as at the Falklands, the ships excelled. Even the battlecruiser’s notable failures, such as at Jutland and Dogger Bank, had more to do with tactical handling than the inherent concept of the ship class. After Fisher departed the admiralty in 1910, the new First Lord, Winston Churchill, continued the scheme’s progress, frequently taking advice from Fisher on fleet design and expansion issues. This continuity of thought up until the Great War began gave the scheme remarkable staying power. Indeed, the Fisher-Churchill fleet served Britain through both world wars. The Revenge and Queen Elizabeth-class battleships are two notable examples of this fact. The ships remained useful not only because of the quality of their construction, but also because they were designed with a specific role that remained strategically relevant for Britain over the entirety of their service lives. The same cannot be said of the U.S. Navy’s development projects since 1991. While America’s national security strategy shifted throughout the Cold War, the underlying political and strategic situation remained consistent, facilitating remarkable continuity in the Navy’s role. The 1982 Maritime Strategy and successive strategic documents were the clearest articulations of this approach, which one could term a strategic concept, to borrow from Huntington. In the event of a conflict, the Navy would use the Mediterranean as a staging ground for strikes against advancing Soviet forces while protecting allied convoys from submarines. Russia would need to divert attention from the central front, while the U.S. and its allies would gain operational flexibility. A 600-ship Navy of supercarriers; large and small surface combatants; attack and ballistic missiles submarines; and amphibious ships, emerged from this approach. The Soviet Union’s collapse in 1991 created a new strategic environment within which the Navy had difficulty articulating its purpose. The Navy published two operational and strategic documents during the 1990s: …From the Sea in 1992 and Forward…From the Sea in 1994. Both rest on the assumption of absolute sea control, and indicated a shift in focus to littoral operations. One can derive the Zumwalt-class destroyer and LCS from this focus. The former was designed in part to replace the battleship in the naval gunfire support role while using stealth technology to avoid detection by enemy shore installations. The latter was intended to counter low- and medium-level littoral threats like diesel-electric submarines, mines, and, fast-attack craft. The Navy’s post-Cold War missions did support this role. During the Gulf War, the Navy used 288 Tomahawk missiles to strike Iraqi ground targets, while the embarked MAGTF in the Persian Gulf combined with the First Marine Division’s frontal assault on Iraqi positions in Kuwait pinned Saddam’s forces in place for Schwarzkopf’s turning movement. The Navy played a critical facilitating role in the opening stages of the war in Afghanistan, providing air support for Special Forces and CIA operatives. During Iraq, the Navy played a similar role. However, the 700,000-strong ground force deployment during the Gulf War overshadowed the Navy’s strike role, while the counterinsurgency campaigns of the early 21st century further diminished the Navy’s public visibility. Moreover, …From the Sea and Forward…From the Sea were based on assumptions that no longer hold true. The Navy can no longer assume universal sea control. This is most apparent in the Asia-Pacific. In 1991, the PLAN was unsuited for missions beyond China’s immediate coastline. It possessed no aircraft carriers, and had only one SSBN, precluding steady nuclear deterrence patrols. So pronounced was China’s naval inferiority that, during the Third Taiwan Strait Crisis, an American aircraft carrier and amphibious assault ship were able to sail through the Taiwan Straits without fear of retaliation. The U.S. had achieved absolute naval supremacy in the Pacific, preventing China from isolating American regional allies, and constricting Chinese freedom of movement in wartime. Today, the PLAN surface combatant fleet outnumbers the U.S. Navy’s, while the PLAN has nearly achieved numerical parity with the U.S. attack submarine force. It currently operates one ex-Soviet STOBAR carrier, will operate two STOBAR carriers by 2020, and will field an 85,000-ton CATOBAR carrier by 2022. 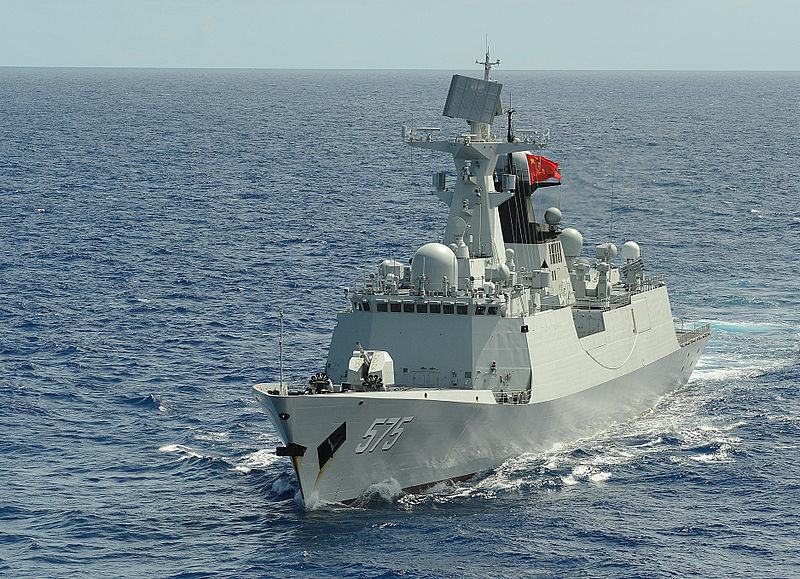 Moreover, the PLA employs long-range anti-ship missiles like the DF-21 to create an anti-access bubble in the South and East China Seas, within which its surface fleet can operate relatively unopposed. Littoral operations and power projection are made less feasible in an environment where long-range missiles force American warships to remain hundreds of miles away from hostile coastlines. Regarding recent U.S. Navy surface combatant programs, the Zumwalt-class destroyer incorporates a number of technological advances. It is one of the world’s first stealth ships, has the potential to use energy weapons due to increased power generation, and was designed to use terminally guided artillery shells that were eventually cancelled due to cost. The program ran over budget, was cut from 32 ships to just three, and has experienced multiple mechanical issues during testing. The Littoral Combat Ship has fared slightly better, but still has budgetary and mechanical issues. Additionally, survivability and lethality concerns have compelled a potential “frigate” spinoff class, indicating the initial design’s weaknesses in the emerging strategic environment. Both the Zumwalt and LCS were built to field advancing technologies that, according to the transformation doctrine of the early 21st century, would revolutionize warfare. Transformation proponents may have been overzealous in predicting the initial operability of their technologies, but the general assertion that networked computing, combined with precision weapons, stealth, unmanned systems, and other weapons developments would indelibly change tactics and operations is being proven correct today. Indeed, the LCS and Zumwalt may been seen as test projects for the advances that will dominate warfare in the foreseeable future: automation, stealth technology, modularity, unmanned systems, and networking. However, the transformation-RMA concept of warfighting did not translate into a coherent strategy that directed force structure, particularly in the context of the Navy. This was likely a historical accident. September 11th forced the Bush Administration, and the military as a whole, to entirely reorient its paradigm of war against a non-state enemy. The RMA, in contrast, was intended to revolutionize conventional warfare. 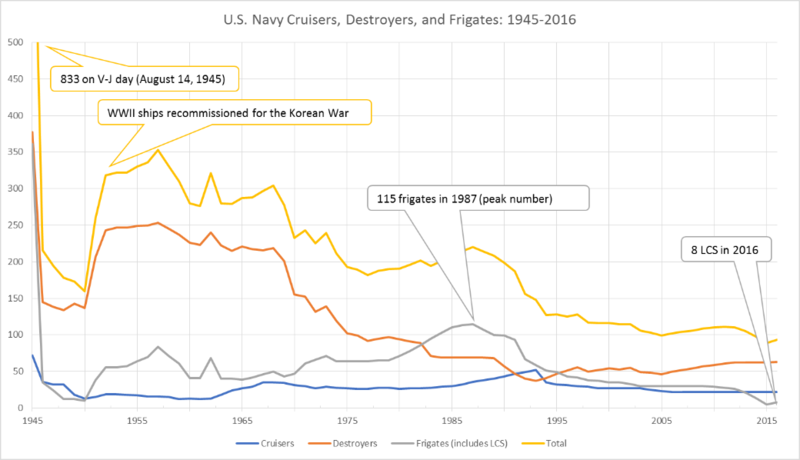 Such a shift in threat perception did not translate well to naval development, and is in part responsible for the difficulties that the Zumwalt and LCS experienced. Now, just as the military had adapted to the counterinsurgency framework of the early 21st century, it must return to a more traditional situation, albeit with persistent non-state threats. This strategic complexity and confusion can help explain the Zumwalt’s and LCS’ developmental difficulties. The Zumwalt may be an advanced ship, but its exact role is amorphous. 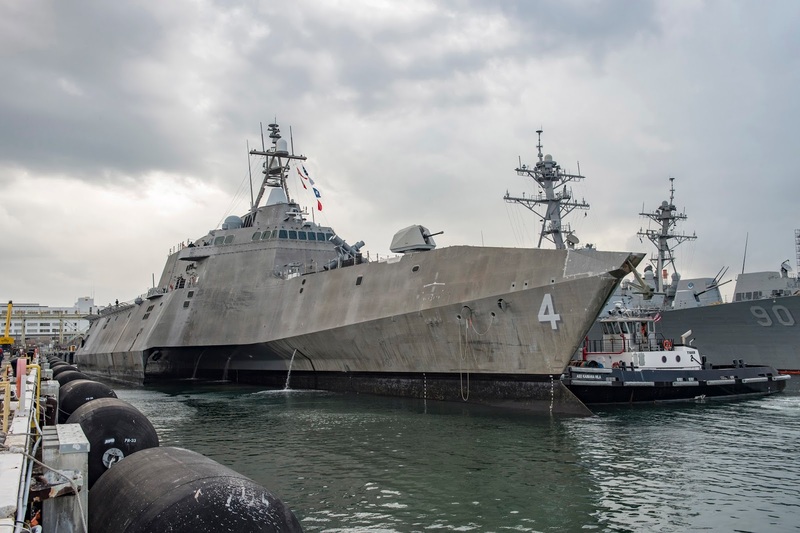 The LCS’ modular nature appears to offer planners a greater breadth of employment options, but in reality decreases the overall lethality of the surface fleet. An important lesson for the FSC’s development is that a solid conception of strategy, and from it the role each ship must play in an envisioned fleet, is paramount for effective acquisition and development. Therefore, a discussion of America’s national security strategy, and the Navy’s role in that strategy, is required. U.S. strategy is derived from the balance of power it currently faces internationally. Three sorts of threats undermine America’s international status. First, major state challengers like China and Russia threaten to undermine U.S. interests in the Pacific and Europe. China combines an expanding Navy with economic initiatives including the NDB, AIIB, and New Silk Road to create an independent Asian power bloc. Russia manufactures instability in Eastern Europe while using its foothold in Syria to wrap around the U.S. flank, and threaten the Balkans and Southern NATO. Second, medium challengers use traditional and non-traditional means to threaten American interests. Iran and North Korea fall into this group, with the former’s use of Shia militias in Iraq and Syria to increase its influence and the latter’s nuclear bullying, where both are designed to decrease American prestige and influence. Third, non-state actors, particularly in the Middle East and North Africa, create pervasive instability in strategically important regions, while consistently attempting to strike American and allied citizens. These threats do not exist in isolation – multiple hostile actors operate within the same theater, as is the case in the Middle East. The Navy’s role in responding to these threats returns to the Mahanian concept of “command of the seas.” The U.S. today faces a naval threat similar in effect to the great power fleets of the early 20th century. However, this threat is not expressed through battle squadrons intended for decisive fleet actions, but through an anti-access area denial (A2/AD) network. Each threat creates this network differently. As previously stated, China uses a more traditional fleet to establish sea control within the wider A2/AD bubble its long-range missiles create. On the lower end of the spectrum, Iran’s focus is on denying the U.S. sea control, rather than achieving its own regional command of the seas. Rather than investing in surface combatants and attack submarines, it uses missiles, fast-attack craft, and midget submarines for sea denial. Ironically, this bears greatest similarity to the situation …From the Sea and Forward…From the Sea initially envisioned, albeit with the added and pervasive element of advanced long-range missiles. Russian capabilities are more similar to Chinese ones, but Russia’s less advanced and smaller navy cannot achieve meaningful sea control in the same way that the PLAN can. Regardless of the differences, RMA predictions enable all these A2/AD networks. America’s adversaries use long-range missiles and ISR architectures based on networked computing to counter the U.S. network of global super bases and forward deployed assets. A decade ago, the U.S. could reliably assume that, in the event of conflict, it could shuttle soldiers, aircraft, and other equipment to any point in the world without obstruction. Moreover, force deployments were relatively small – the Iraq War’s peak troop strength of 168,000 is dwarfed by Korea’s 325,000 troops, and Vietnam’s 500,000-plus-soldier commitment. Today, great power conflict is viable, creating the potential for larger force deployments, all while sea control is no longer guaranteed. Ships must therefore be designed to combat the great power adversaries that field these A2/AD networks, rather than to focus on projecting power against land targets, or counter the low-tech littoral assets of rogue regimes. 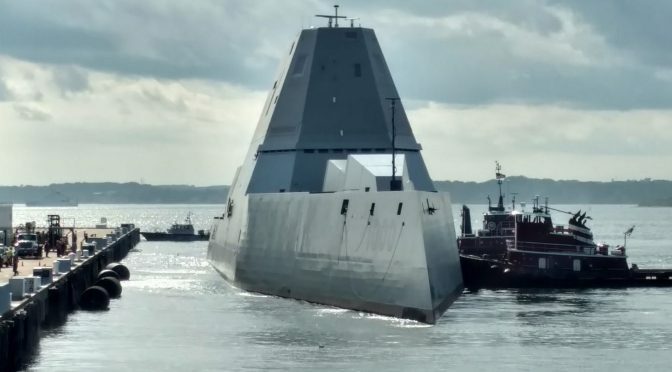 The Zumwalt and LCS will have a role in this new fleet architecture, but some of their original missions such as naval gunfire support and littoral dominance will have less relevance. Nuclear weapons also complicate the Navy’s role. Russia, China, and North Korea are nuclear states, while Iran can obtain nuclear capabilities. Inland strikes against logistics and communications facilities could prompt a nuclear response and other forms of escalation. Using the Navy to blockade hostile nations and shifting its focus from power projection to sea control has military and political benefits, as it gives the U.S. greater control over a conflict’s escalation. In modern conflict, applying decisive firepower is less dependent upon concentrating forces than before. Thus, although the Navy’s task will be more similar to the traditional role of a great power sea service than it has been since World War II, it will not need to seek out an enemy battlefleet in force in the traditional manner. Instead, its targets will be networked manned and unmanned air forces, ships, submarines, and land-based installations spread out over vast distances. The U.S. disposition is similar to this. 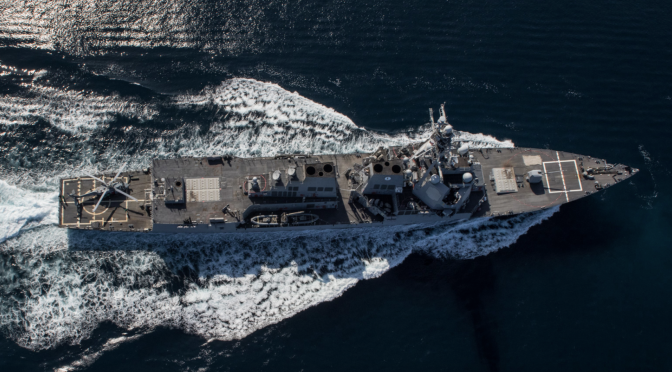 The Navy can retain the CSG/ESG structure for certain operations, but the distributed lethality concept indicates the beginning of a concerted effort to network spread-out American warships. From an operational and strategic standpoint, one can identify many similarities between the A2/AD-network competition the U.S. will face in the near future and the First World War’s western front. Networking allows a broader distribution of forces, and decreases the need for, and effectiveness of, excessive target hardening. Nevertheless, one can envision a large-scale Sino-American conflict developing into a war of attrition in which China attempts to create an envelope within which it can establish uncontested sea control, and subdue American regional bases. Concurrently, the U.S. will use submarines and its own long-range missiles to punch through China’s A2/AD network, much like infiltration tactics and maneuver warfare schemes were used to break trench lines a century ago. In this new environment, surface combatants can no longer be purely defensive ships as they are today. The Arleigh Burkes’ and Ticonderogas’ air defense capabilities will remain important, but surface combatants must have the means to strike enemy targets offensively, and not simply to protect American capital ships. Submarines will be the primary tool used to penetrate and degrade A2/AD networks, but surface combatants provide heavier capabilities in higher volumes than undersea assets in more domains. In addition to their strike role, surface combatants must be able to detect and destroy enemy submarines. The Pacific’s geography, combined with Russo-Chinese force structure, makes this an imperative. Outside of wartime, the FSC will also conduct presence missions in contested Asian and European maritime regions. Ideally, older ships like the Arleigh Burke could provide shore strike capabilities, while amphibious ships equipped with land-attack missiles would support naval landings. This overall structure would free up the FSC for greater sea control specialization. The Navy’s overarching operational goal will clearly be to break down an A2/AD network. While submarines can avoid detection and hit critical nodes in this network, the FSC would best be used to provide sustained salvo fire against exposed targets, while delivering overwhelming firepower when a more significant target presents itself. In peacetime, the FSC’s components may operate independently while conducting presence or deterrence missions. However, during wartime, the best way to take advantage of networking and distributed lethality is to consistently use all three FSCs in tandem. Much as the Grand Fleet served as a blockade force and battlefleet in its station at Scapa Flow, these FSC SAGs would blockade China’s maritime space in the Asia-Pacific, while also forming the core of America’s Pacific battlefleet. Each FSC would have a specific role in fulfilling this strategy. The large FSC would form the backbone of the SAG’s striking power. Much like the projected Arsenal Ship concept of the early 1990s, this ship must be maximized for its offensive firepower, using a low freeboard and long-range missiles to avoid retaliation. As envisioned, this ship would operate in two ways. First, it would receive targeting information from other assets deployed closer to enemy positions, launching strikes against those targets – like an advanced battleship relying on spotting aircraft to direct its ordinance. Second, the large FSC would launch its missiles and “hand off” retargeting control to other ships and aircraft more proximate to the target, serving as the SAG’s “quiver.” Considering its mission, the large FSC could be larger than a contemporary destroyer, and even approach the cruiser size of 15,000 tons. The Navy should also consider nuclear propulsion for this FSC. This would enable the Navy to more quickly field directed energy weapons and railguns, likely for point defense against missiles, and would compliment the ship’s armament of long-range missiles by allowing for more launch cells to be allocated for offensive strike weapons rather than defensive anti-air munitions. Nuclear power will also provide critical advantages in endurance and logistics, allowing a smaller number of large FSC’s to service multiple SAGs. Underway VLS replenishment is critical for this ship, and for the Navy as a whole, if this SAG structure is to be used. While the large FSC provides the bulk of the striking power, the small FSC serves as the envisioned SAG’s targeting ship,and ASW platform. Rather than fielding its own long-range missiles, the small surface combatant, which should be sized at no more than 5,000 tons (i.e. no larger than a small destroyer), would use unmanned vehicles to detect and target enemy A2/AD nodes. Several catapults, deploying Predator/Global Hawk style drones, would extend this ship’s ISR range. Rotary facilities are critical, as are point-defense anti-aircraft missiles. However, the small surface combatant should rely on its larger cousin for most air, surface, and land striking power. In return, the small surface combatant could use the extra space for a full ASW suite, augmented by UUVs to increase detection range. Short-range anti-ship missiles, similar to those envisioned on the fast frigate model LCS, would be the ship’s sole offensive armament. 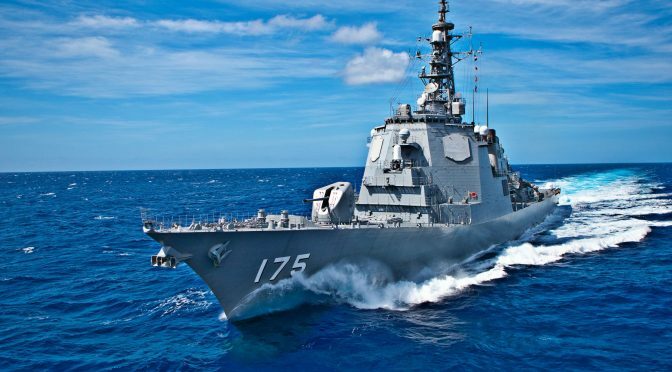 Networking’s most powerful effect will be seen here – independently or otherwise, the small surface combatant should rely on its larger cousin for long-range strike support while it scouts and penetrates the A2/AD bubble. The retargeting capability resident within the Block IV Tomahawk missile and LRASM would allow the small surface combatants closer to the target to redirect missiles launched from a stand-off position by the larger FSC. Finally, the unmanned surface combatant should be used to jam and deceive enemy assets, while also supplementing the small FSC’s detection capabilities. Stealth is imperative for this ship, as it will operate closer to the enemy during combat than any other surface ship. While the large surface combatant provides firepower, and the small surface combatant detects threats, the unmanned surface combatant conducts electronic warfare schemes that misdirect and confuse enemies attempting to strike back at the SAG. This unmanned ship should be as small as possible, ideally no more than 1,200 tons. Room for integration exists between the FSC-based SAG and the contemporary fleet. Arleigh Burkes can serve as makeshift arsenal ships, or as dedicated anti-air platforms, freeing up the large FSC for anti-ship missions. Regardless, the emphasis must be on networked integration, not only between the SAGs ships, but with the fleet more broadly, and with other armed services. As described, the FSC would best be suited for interstate conflict, rather than for power projection against rogue regimes and non-state actors. This is a conscious choice – the Navy could use older ships and aircraft (or allied assets) in those contexts, freeing up advanced platforms for the most sophisticated threats. If constructed in this way, the FSC family of warships would help the Navy fulfill its future sea control mission requirements, while operating independently or as part of a strike group. Military modernization requires an understanding of strategy. Absent this, new weapons and platforms become imperfect tools to use against growing threats. With it, new assets multiply the fighting effectiveness of the service in question, while reinforcing a nation’s objectives. Therefore, the most important lesson history provides for the FSC’s development is the primacy of strategy. Without an understanding of America’s strategy and the Navy’s role in achieving America’s goals tactical, operational, and technological discussions are groundless.